Please Click Here to read a transcript of the event. ​​In a world being disrupted both from above and from below, Dr. Mohamed A. El-Erian will discuss the role of central banks in the context of policy efforts to promote high inclusive growth and genuine financial stability. Fearing (rightly) that the 2008 financial crisis would tip the global economy in a multi-year depression with devastating effects, central banks in the advanced world shifted to a “whatever it takes” policy approach. Eight years later, and with the worse of the crisis behind us, the heavy policy reliance on central banks continues. Challenging political conditions have undermined the ability of other policymaking entities to step up to their economic responsibilities. As such, central banks now find themselves in a rather tight spot: economic outcomes have fallen short of their expectations, their instruments are ill-equipped to deal with structural headwinds, the risk of collateral damage and unintended consequences have risen, and there are growing threats to their political autonomy. Where central banks are today is part of a broader and consequential phenomenon, both for current and future generations. Having relied too much and for too long on central banks, the global economy is fast approaching a T-Junction: The current path will end within the next three years as tensions and internal contradictions continue to build; but there is nothing pre-destined, at least as of yet, about what comes next. Much depends on choices that the political system makes. One path out of the T junction leads to renewed growth, lower inequality, and genuine financial stability. The other involves periodic recession, growing inequality and unsettling market disorder. Dr. El-Erian will examine the why, when and so what of this T-Junction, along with its “unusual uncertainty” that makes good decision-making even harder. He will explain the actions that various policy-makers can take to unleash growth, enhance prosperity and deliver genuine financial stability. 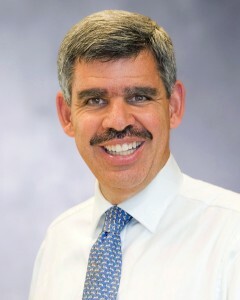 Dr. Mohamed A. El-Erian is Chief Economic Advisor to Allianz, the corporate parent of PIMCO where he was as CEO and co-CIO (2007-14). He is Chairman of President Obama’s Global Development Council, a contributing editor at the Financial Times, and a Bloomberg View columnist. Previously, he served as President and CEO of the Harvard Management Company, the entity charged with managing the university’s endowment, Managing Director at Salomon Smith Barney/Citigroup, and Deputy Director at the International Monetary Fund. Named four years in a row by Foreign Policy as one of the “Top 100 Global Thinkers,”, he has written two award winning New York Times best sellers. He serves on the Financial Times jury for Business Book of the Year (since 2014), and has been a member of several non-profit boards and committees (including NBER, New America, Carnegie Endowment for International Peace, the International Center for Research on Women, Cambridge in America, and several US Treasury/Federal Reserve/IMF committees). 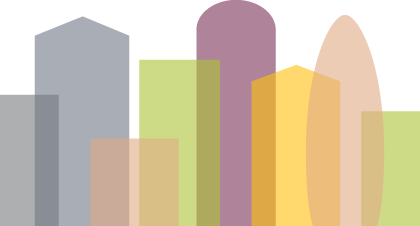 In May 2009, Dr. El-Erian coined the term “The New Normal” to describe the prolonged slow growth that would follow the 2008 financial crisis. He did his undergraduate studies at Cambridge and earned his masters and doctorate degrees at Oxford.